NAXOS OF AMERICA DISTRIBUTION PULLS ALL MUSIC OFF eMUSIC PLATFORM. Franklin, Tennessee, October 11, 2018: Naxos of America today joined a growing list of music distributors who have pulled their owned content, as well as that of all third party label partners that it distributes digitally, from the digital music streaming service eMusic. Effective immediately, Naxos of America distributed music will no longer be available on eMusic. This action was taken due to eMusic’s continued non-payment, as well as non-reporting, for use of Naxos’s content. Headquartered in Franklin, Tennessee, Naxos of America is the leading independent classical music distributor in the U.S. and Canada. Specializing in state-of-the-art distribution and marketing and promotion, Naxos of America distributes nearly 80,000 SKUs to traditional brick and mortar retail, as well as offering a comprehensive suite of services tailored to consumer direct fulfillment. 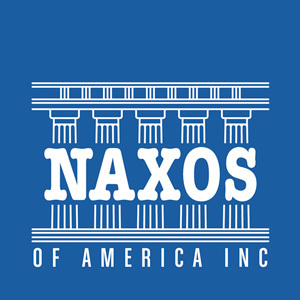 Naxos of America is also one of the world’s largest digital distributors of independent classical music and video, supplying a catalog of over 1.8 million tracks and 80,000 albums to hundreds of digital platforms and mobile outlets across the globe. Naxos of America offers marketing, publicity, physical and digital e-commerce services, licensing opportunities, streaming services, sales support and customer service for all new releases and active catalog titles of Naxos Records and nearly 1,000 distributed labels. Naxos of America is the leading independent classical music distributor in the U.S. and Canada; specializing in state-of-the-art physical & digital distribution services, marketing and promotion.